About us | Kovis d.o.o. Kovis d. o. o. is an innovative international company, based in Brežice, which deals with the production of high quality components for railway industry. In particular, the company is most renowned internationally for its brake discs for all types of railway vehicles – from locomotives and trams to metro cars and high-speed trains. In addition to brake discs, Kovis is also the largest manufacture leader in the production of axle boxes for freight wagons in Europe. 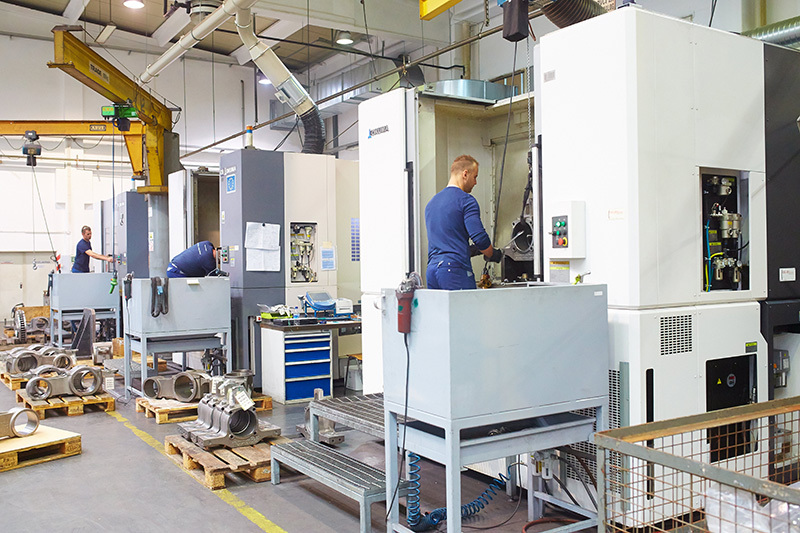 Expertise, extensive knowledge of processing and foundry work, years of experience, innovative approach, and the use of modern technologies and equipment enable us to provide our customers with highly demanding technological solutions, flexibility, high quality, and short delivery times, which are at the same time our key competitive advantages. Development and innovativeness design our pace and open an increasing number of new business opportunities, therefore we operate according to the slogan – good ideas create the future. Throughout its development history, Kovis encountered many challenges, set up by the business environment. These were, above all, the need for dynamic development and the achievement of the development step with the competition, the need for active monitoring and flexible adaptation to changes in the business environment, and the need for a content breakdown of business operations. We want to become a business flexible, manageable and efficient company in all areas of our operation. Strategic flexibility of Kovis has required active monitoring of the changes in the business environment, evaluating its own capabilities to be able to adapt to changes, creating conditions for adaptations and introducing adaptation changes. 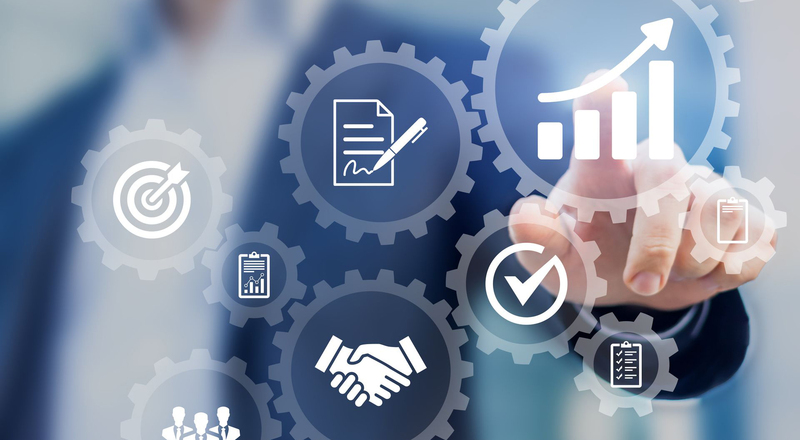 The described processes have been carried out at all levels of the company’s business, at the level of exposed business activities, techniques and technologies in the manufacture of products or the operation of services, as well as at the level of customers, suppliers and employees. The fundamental mission of the company Kovis is the production and marketing of quality, human and environment-friendly products and services in the field of rolling stock. Kovis operates with the aim of the company’s long-term balanced growth, which for a long period reliably meets the expectations of owners, employees, business partners and the environment. Company: KOVIS proizvodna družba d.o.o. 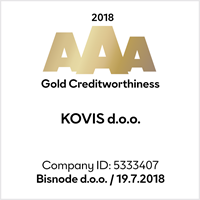 Company short name: Kovis d. o. o. ©2017 KOVIS d.o.o. All rights reserved.